GMR Institute of Technology proudly presents an Arena to prove the actual standard of Engineering! Scientists invent theories engineers make it possible. 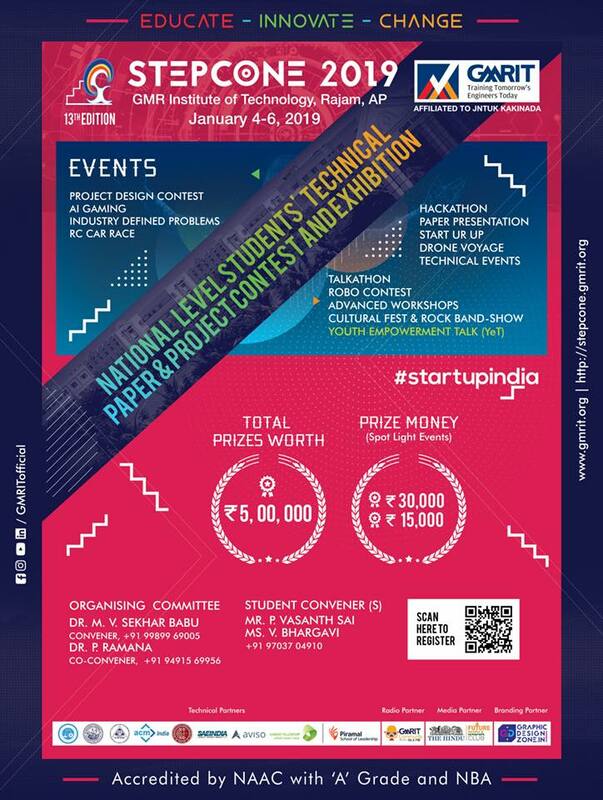 STEPCONE 2019 is one of the Biggest National Technical & Cultural Fest in India. The Fest is three day event blending in different competitions, advanced workshops, technical exhibitions, cultures and much more to bring out the best out of engineering students across the country. The objective is to showcase the dynamism of young Indians today and to inspire them to aspire for a greater future ofIndia. STEPCONE ‘2019 will be held on 4th, 5th and 6th of January.